CHICAGO (WLS) -- A woman known for trying to sneak onto planes without a ticket has been arrested at two Chicago airports. Chicago police spokeswoman Janel Sedevic says 63-year-old Marilyn Hartman was arrested April 24 for loitering in a restricted area at O'Hare. She was charged with misdemeanor criminal trespassing on state land and released. She was arrested again on Sunday at Midway and charged with the same offense in addition to violating her bail bond. She's being held in the Cook County jail. It isn't immediately clear if she has an attorney who can comment on her behalf. Hartman has succeeded in getting on a flight at least once without a ticket. In August, she flew from San Jose to Los Angeles, for which she served jail time. She has previously said she's mentally ill and homeless. 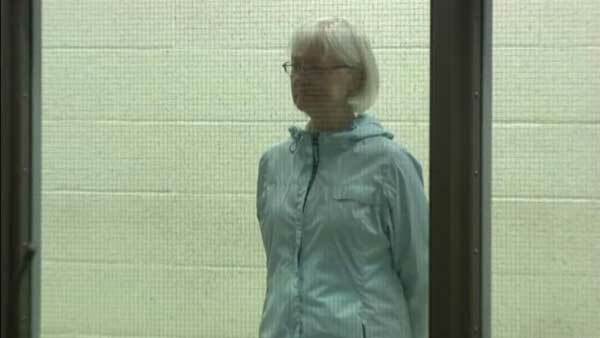 Hartman has been dubbed the "serial stowaway" after nearly a dozen arrests at airports across the country. Hartman has been caught seven times at San Francisco International Airport and at least four more times at other airports. Hartman was recommended for mental health treatment after earlier arrests. In February, Hartman allegedly took a flight from Minnesota to Jacksonville, Fla., without a ticket. She was arrested in Florida after an upscale hotel says she tried to check in under someone else's name. Police say they found Hartman sleeping inside a hotel room. "She stood around the airport and she thinks somebody just felt sorry for her and just said, 'Come with me,'" Deputy Sheriff Mark Murphy from Nassau County said. Hartman has been caught trying to sneak onto flights 11 times since March of 2014. San Mateo County, Calif., District Attorney Steve Wagstaffe says Hartman refuses to be reformed. "We tried everything, including offering our hand to help her out. She doesn't want a hand. I think she just wants to fly," he siad.